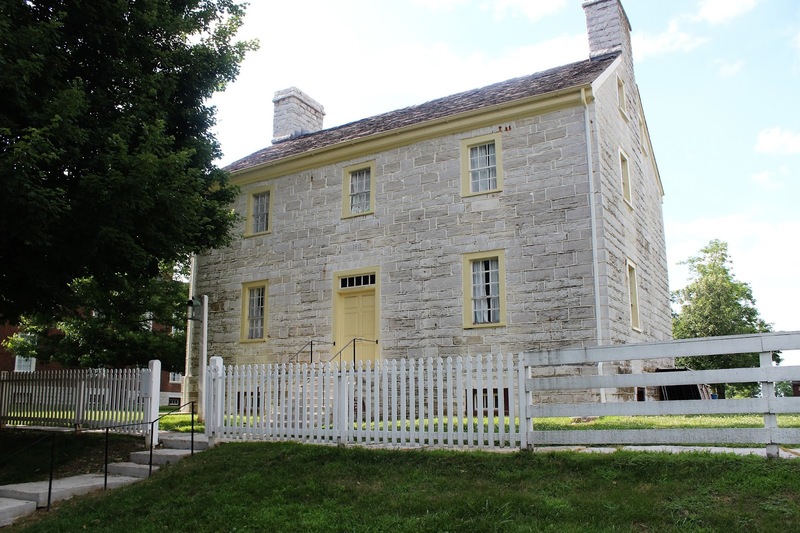 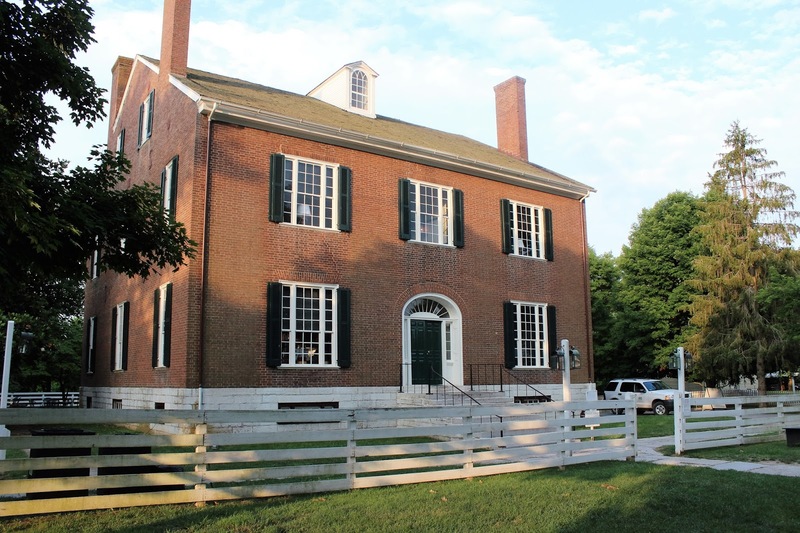 40 kms southwest of Lexington, after travelling pretty Kentucky backroads, one reaches the National Historic Landmark of Pleasant Hill, a village that was established by the Shaker religious community in 1805 and has been the object of a successful preservation effort since the 1960s. 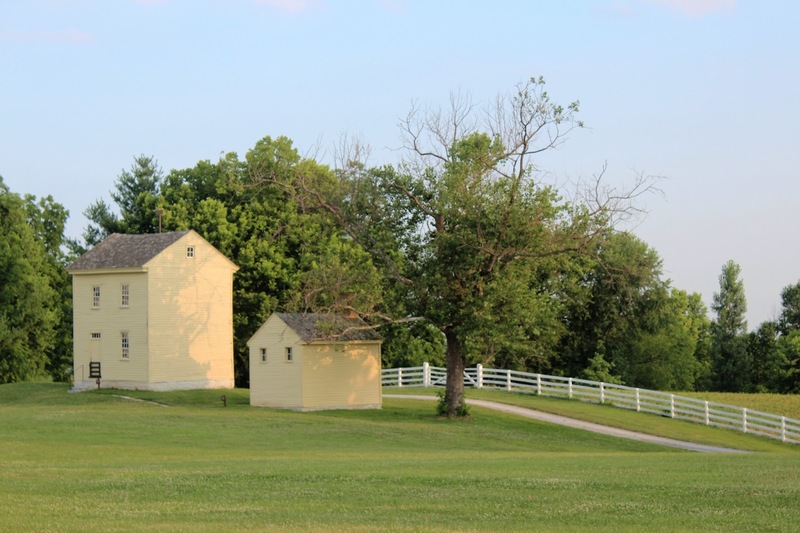 The village contains 34 buildings from the 19th Century and the property covers some 2,400 acres. I had visited the community in 1981 at the suggestion of a friend in Lexington and had enjoyed an excellent family-style dinner in the Trustees' House. 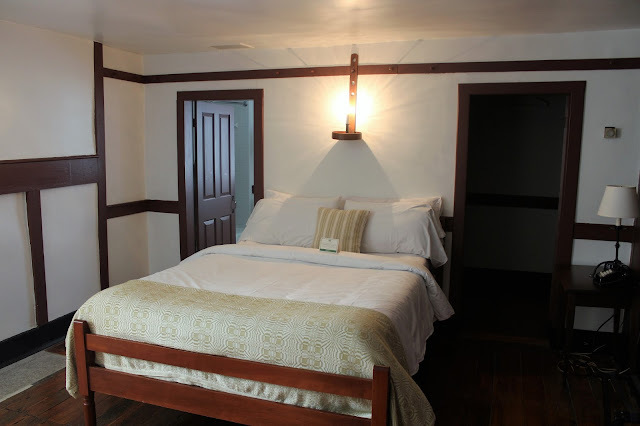 Now on this trip through the Midwest we took time out for a non-automotive theme and enjoyed the opportunity of staying overnight in one of the historic buildings as there are 72 rooms available for visitors. After checking in at the Trustees' Office, which also houses the restaurant and a gift shop, we drove around the village and quickly found our accommodation in the Old Stone Shop. 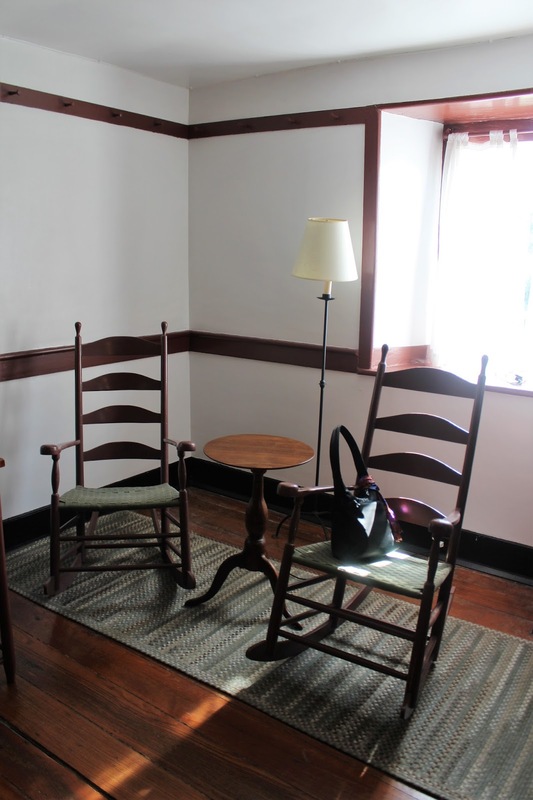 We had a simple but comfortable room on the second floor, which included some Shaker-style furniture. The village has an interesting history and is a very charming reminder of a movement that once flourished. 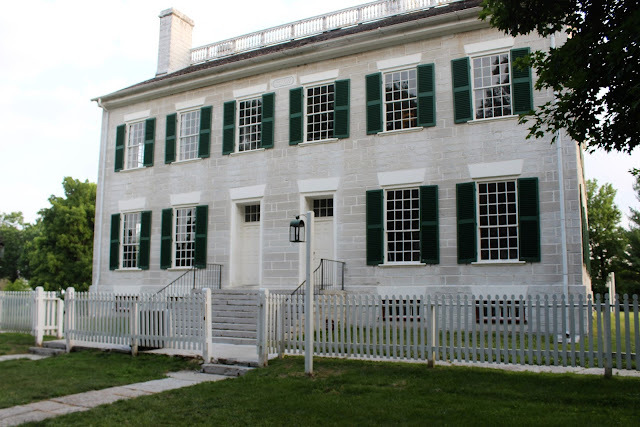 The Shakers were one group practicing communalism in the United States but are probably the best known. 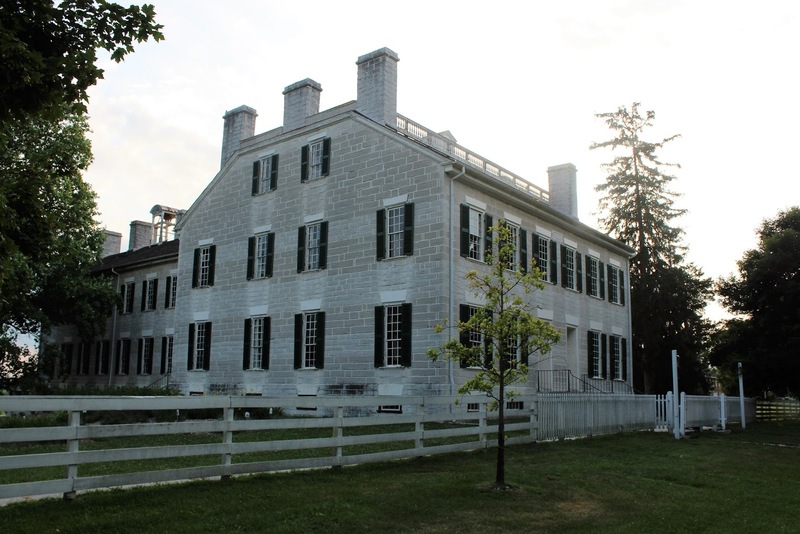 First established near Albany, New York, Pleasant Hill was a Southern outpost which became noted for its hospitality and economic success. 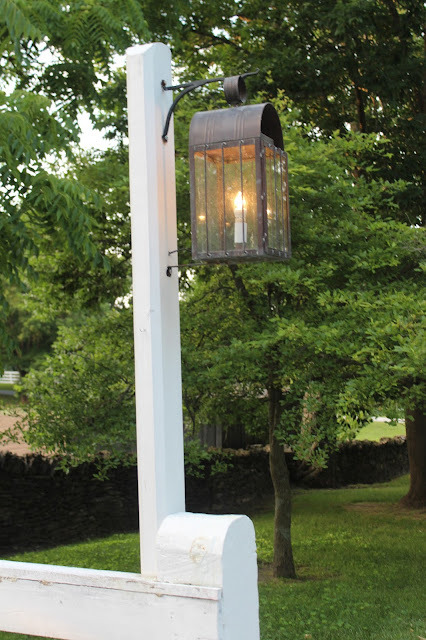 After an excellent dinner in nearby Harrodsburg at an old inn that had once been a girls' school, we returned in the evening to an absolutely still place, with candles (well, electric ones now) lighting the street, and you could believe it was still the 19th Century. 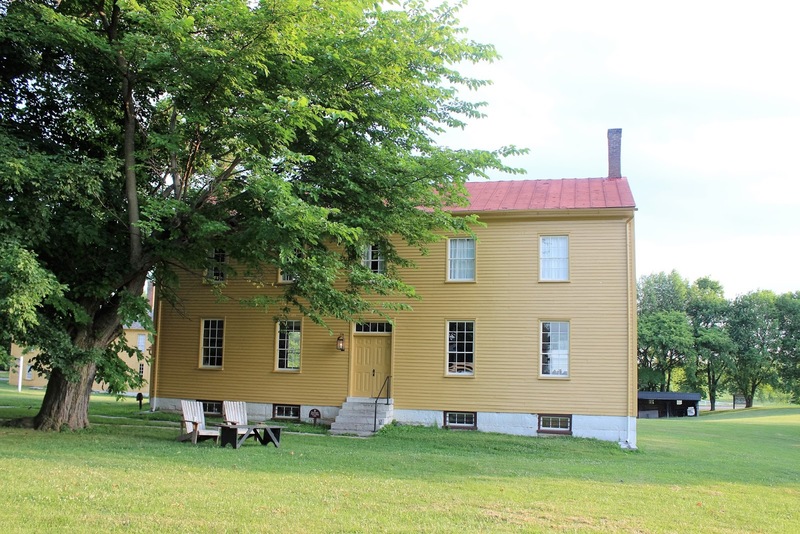 But tomorrow would bring the 21st as we would turn our car towards Bowling Green and the Corvette Heartland.